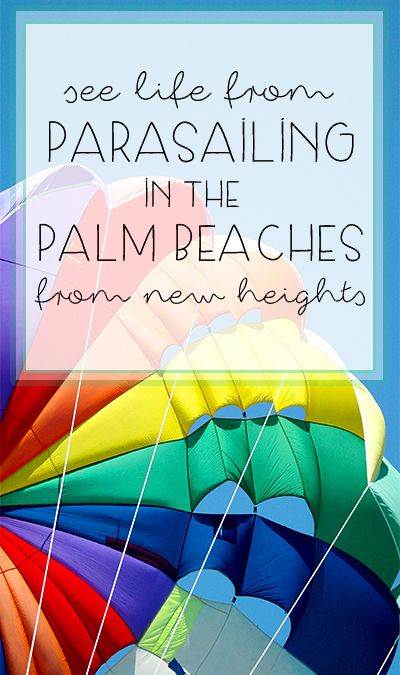 See Palm Beach From New Heights With Parasailing in the PALM BEACHES! Posted by Brittany Bosher on Friday, January 29th, 2016 at 1:10pm. A special parachute glides a rider, in their harness, up in the air while being pulled behind a motorboat over the ocean. It might seem a little intimidating to the first time parasailer but it a smooth and comfortable ride. The rider is then gently lowered down after completion of the parasail adventure. As you have heard before, “it is not the amount of breaths you take, it is the moments that take your breath away!” Let parasailing in the Palm Beaches take your breath away! Contact www.visitpalmbeach.com or call 561-881-9557 for more information. While parasailing over the beautiful blue waters of the Atlantic Ocean you’ll notice the picturesque condominiums along the beaches of Singer Island, Juno Beach, Jupiter Island, all the way north to Stuart. Many of these condominiums offer luxurious amenities, concierge services, and endless inviting views. Living on the Atlantic Ocean is nothing short of extraordinary a true escape for the soul. Experience the Palm Beaches from a new vantage point! Surprise someone, surprise yourself!